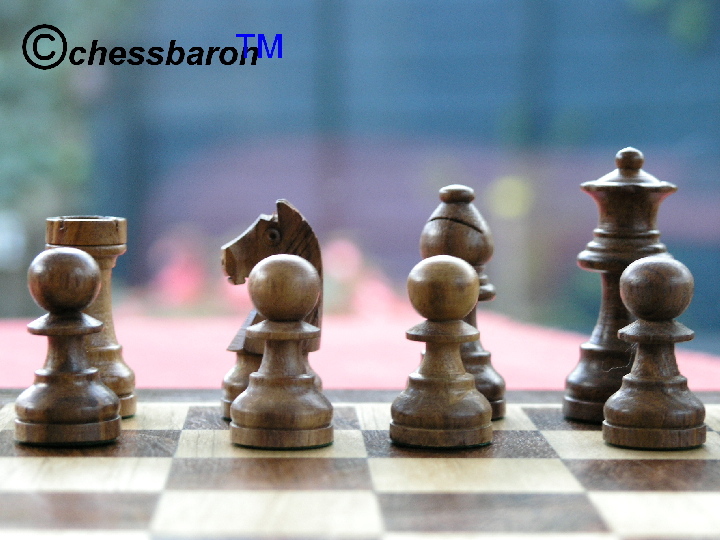 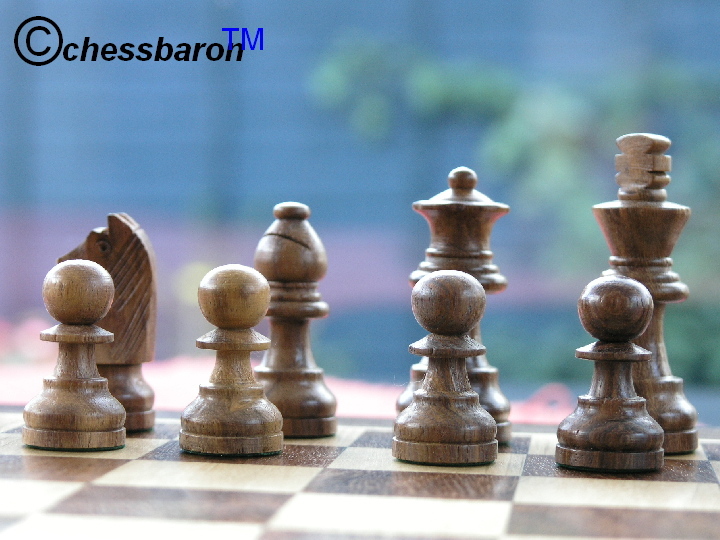 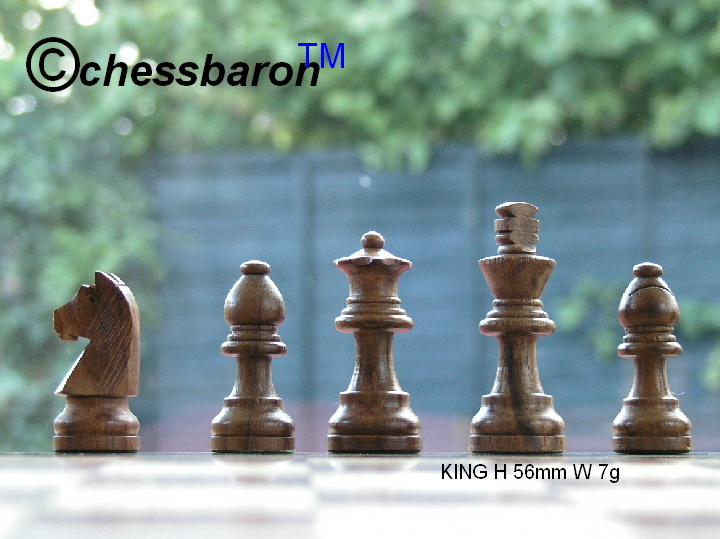 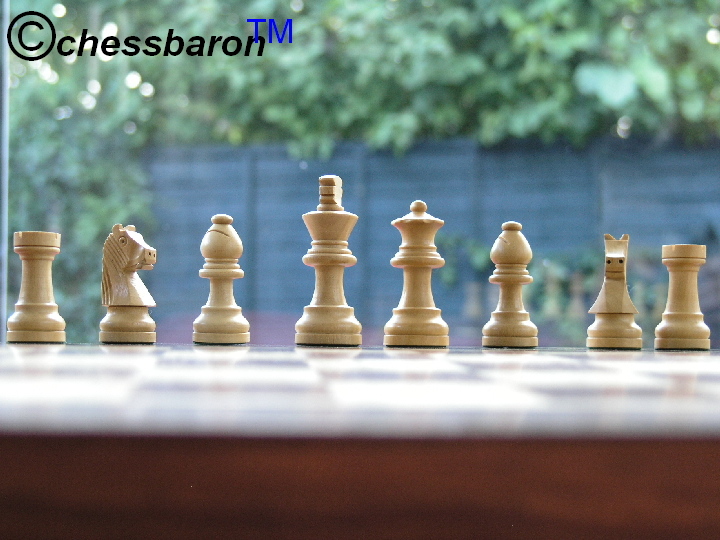 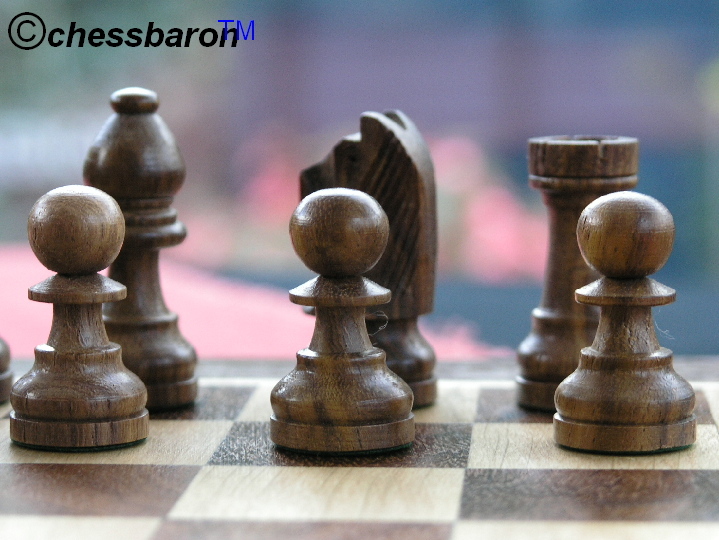 This product from Chess Baron: Combination chess set with pieces along with board. 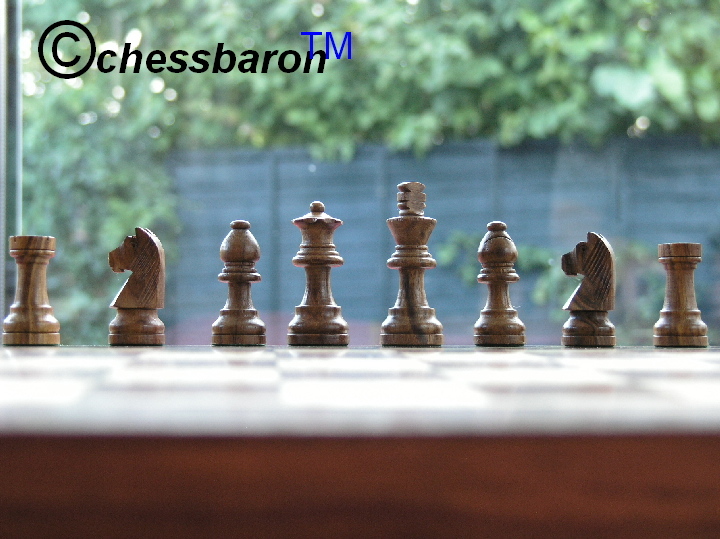 The pieces of the chess set are well made with good detail in the design. 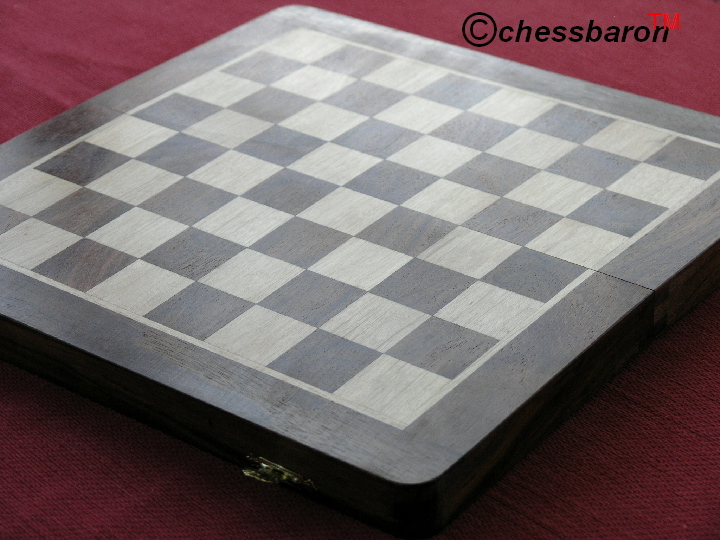 The chess set measures 7 inches by 14 inches and has quality in the foldup case doubling as a board. 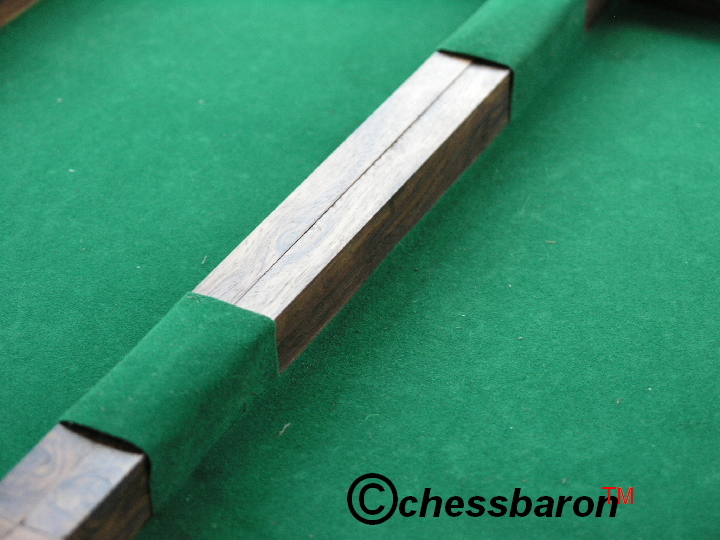 The board is well rounded at the corners and is thick when folded. 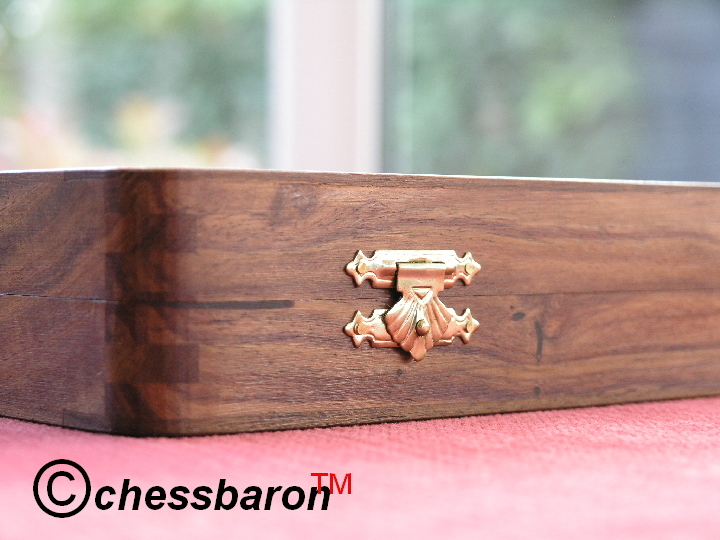 The colouring of the squares is attractive with a warm golden wood appearance. 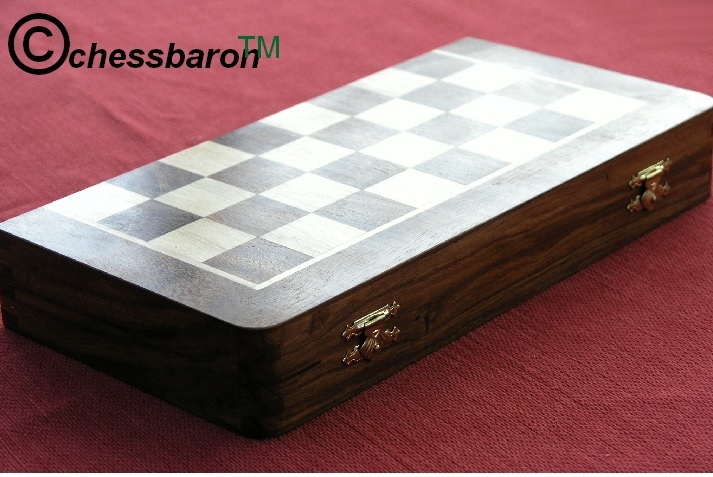 An excellent value chess set and board combination.